Located at Front Street and Talbot Avenue in downtown Memphis, Printer’s Alley comprises two buildings: a renovated print shop and a newly constructed building designed to complement its historic neighbor. 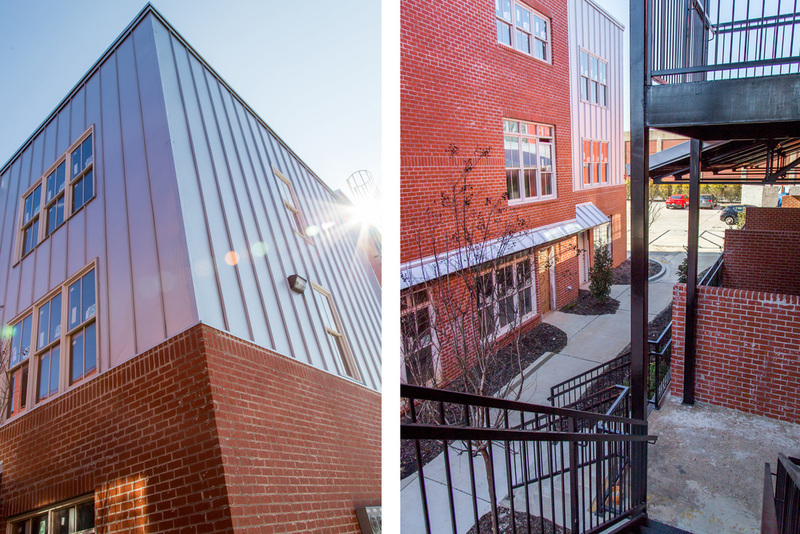 The revitalized north building features creatively designed loft apartments while the south building comprises two-story townhouses with ground-floor garages as well as innovative micro-units. Both buildings overlook a peaceful courtyard featuring a fountain, mature trees, and inviting bistro lights.